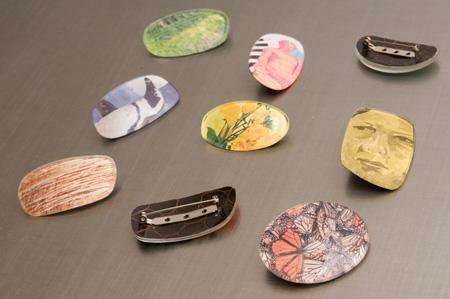 Each brooch is one-of-a-kind, made from a recycled eyeglass lens and unique images from used magazines. The following is a sampling of the current designs available for purchase on my etsy shop. Click below to be taken to esty.